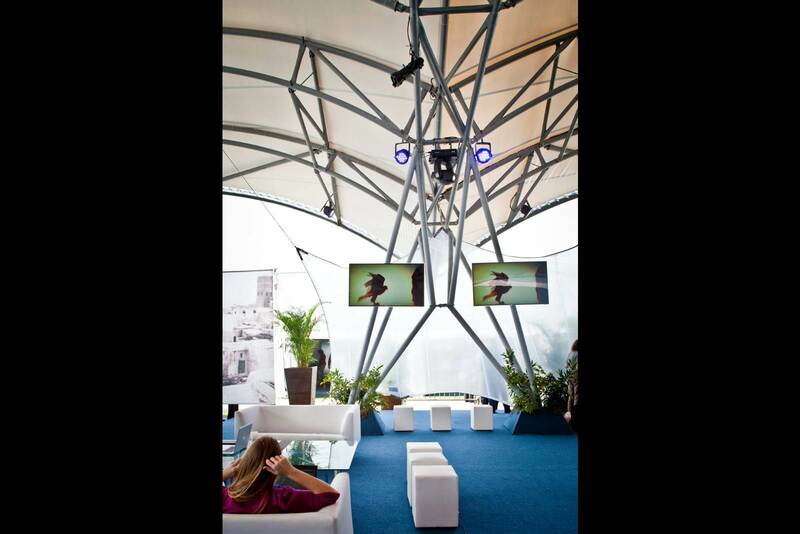 Qatar Pavilion at Rio + 20 United Nations Conference. 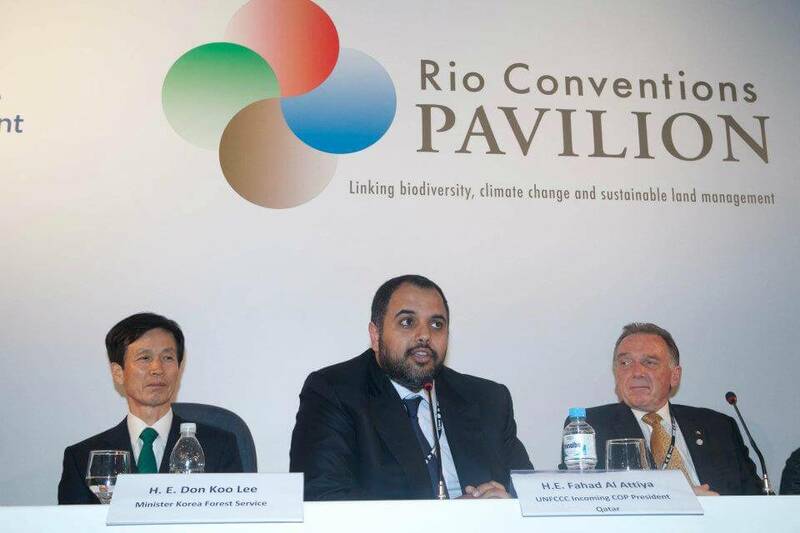 The Office of the Heir Apparent embarked on an ambitious project to promote Qatar at the Rio+20 United Nations Conference on Sustainable Development in Rio de Janeiro, Brazil. 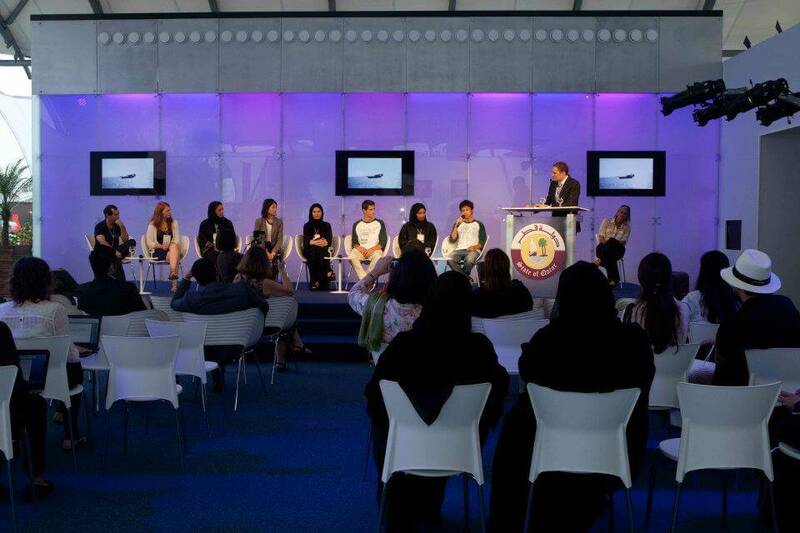 The Qatar Pavilion was open to the public from June 13th to the 24th, with conference-only access (delegates and select international media) from June 20th to 22nd. Led by Grimshaw Architects and working with Infinite Stage Design as well as local partners Ciclo Arquitetura, the Qatar Pavilion was planned, designed and constructed in eight weeks! The main goals for the Pavilion were to break down preconceived notions of Qatar and promote their current work and forward-thinking leadership on sustainability. A tiny peninsula in the Middle East, they are well aware of the impact of their rapid development, their perception as another oil-rich Arab state, and that the challenges they face as a nation can result in solutions to global issues. Infinite was hired to consult, manage the production, and engage in the site operations for the live execution portion of the project. Some key considerations from a site and operations management perspective included procurement planning and security. 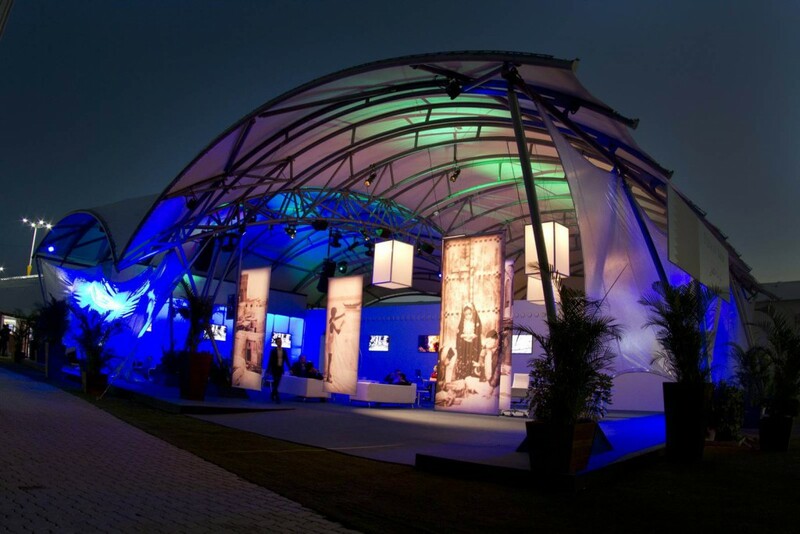 Immediately following approval of the design, Infinite sourced and engaged a local Rio gear supplier to fulfill the Pavilion’s needs. This process required creative communication and insight as we had to vet partners from long distance to ensure that suppliers in this emerging market had the correct quality of equipment available. We were able to fulfill all needs by rentals and few procurements from North America to complete the higher tech requirements. Security onsite at the exhibition grounds in Rio de Janeiro was another challenge as the park was shared amongst many countries that had security and protocols specific to their culture and threat assessments. 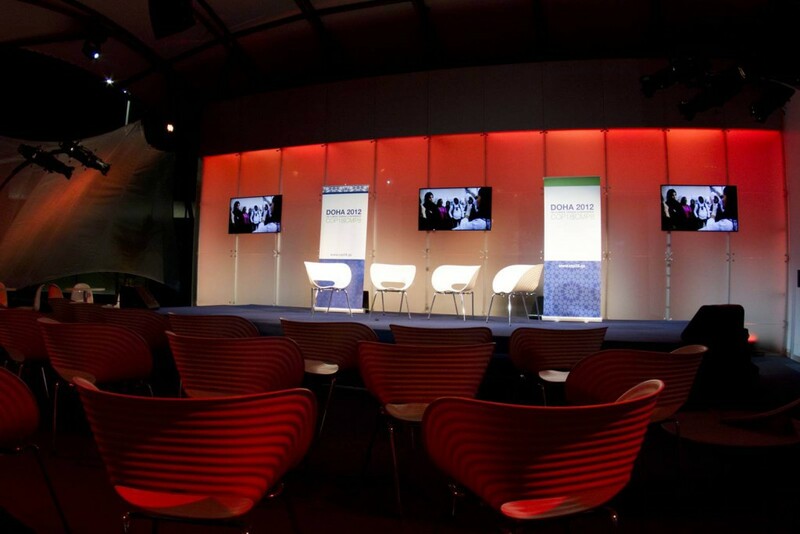 Our team and client became involved in communications with the other pavilions to open lines of contact, support and disseminate information to everyone. This became an exceptionally valuable initiative and resulted in a very smooth experience for the whole site with no unexpected or unexplained events. Many foreign Ministers and Heads of State were present for the duration of the event and our team worked closely with the client to ensure all cultural and diplomatic procedures and protocols were in place and executed seamlessly. 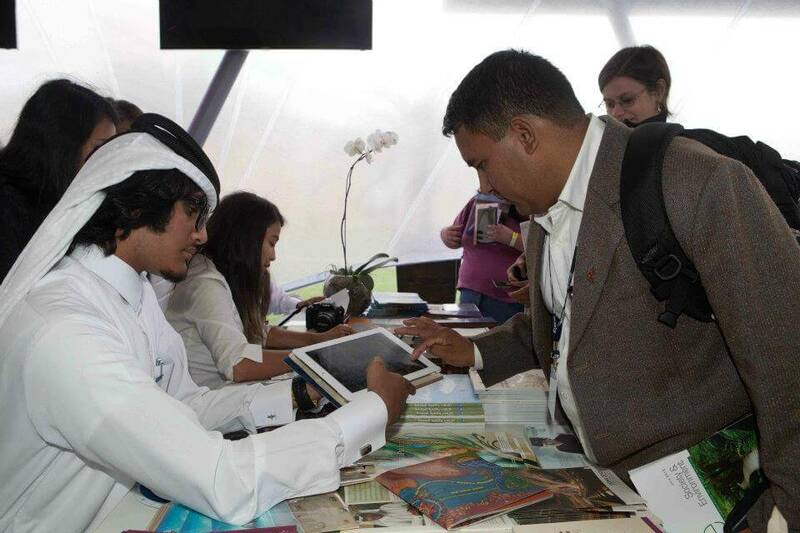 The Qatar Pavilion was one of the most visited venues during the conference. 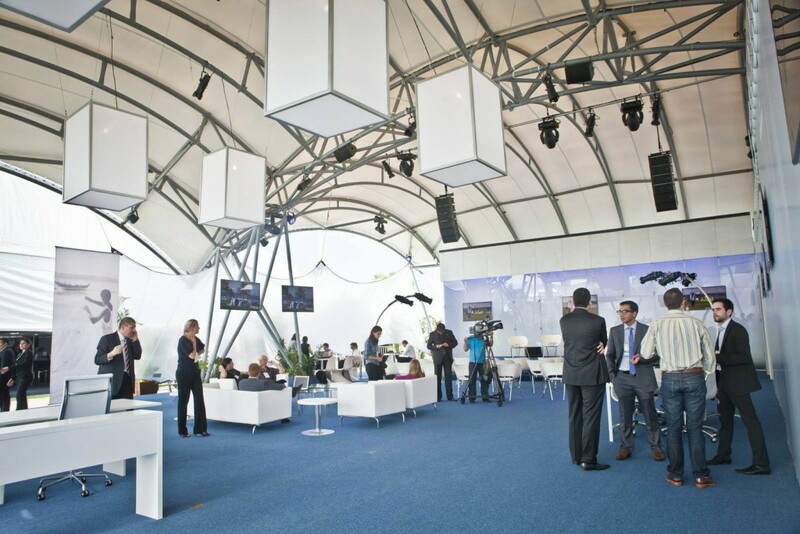 The Pavilion was the only venue which had speaking engagements by UN Secretary General, Ban Ki-Moon and Former President of Spain, Mr. Jose Luis Rodriguez Zapatero, making it one of the most successful spaces. It also hosted panels, and was attended and chaired by high profile dignitaries such as Director of the Global Dry Land Alliance H.E. Ambassador Bader Al-Dafa, U.N. 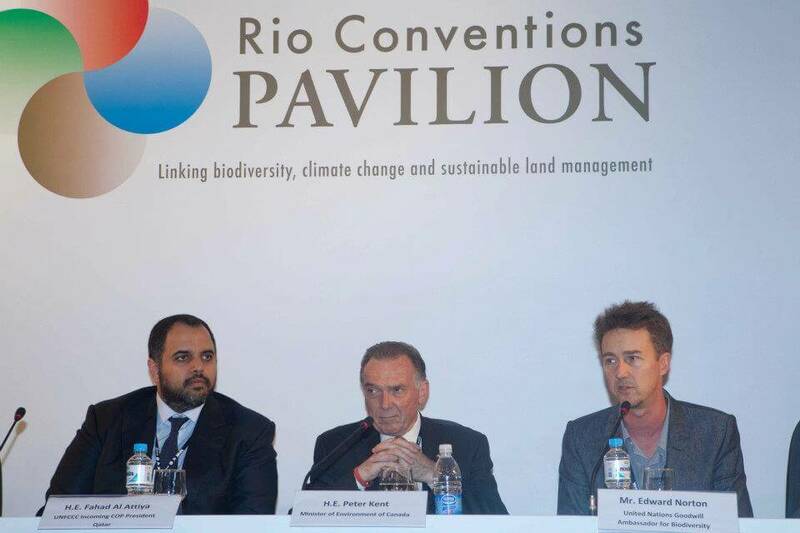 Goodwill Ambassador for Biodiversity Edward Norton, Canadian Minister of the Environment Peter Kent and many more.